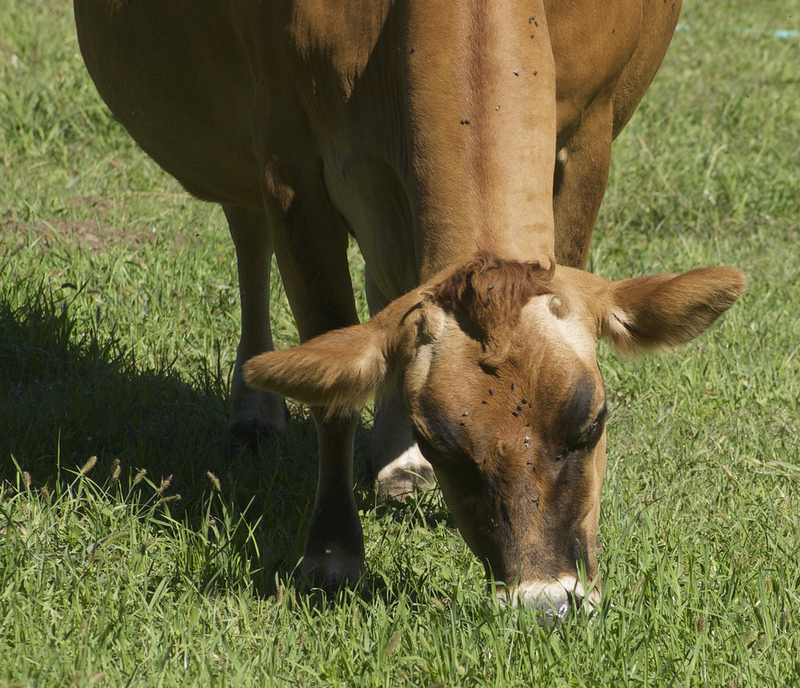 PCC Halts Raw Milk Sales — Please Call! Have you walked into PCC lately and noticed the absence of raw milk? I have, and was disappointed to learn PCC has followed the steps of Whole Foods and halted raw milk sales. Their media blurb about the change is here. Nobody in Washington State has, to my knowledge, recently gotten sick from raw milk. But something’s going on. First, raw milk producers were suddenly getting a lot more attention from the health department, with subsequent media insinuations about raw milk and E. coli. This culminated in a Seattle Times article written in pretty menacing language, and trying to make raw milk drinkers sound like crazy people. Pressure is coming from somewhere, and it’s unclear where. To my knowledge, Madison Market and the Pike Place Market Creamery are the only stores left in Seattle selling raw milk, although as two independent stores, one of which is a co-op, these are stores I like to support.. And, of course, you can still buy it at farmers’ markets from Sea Breeze and St John’s Creamery (for goat milk). Dungeness Valley Creamery also still does drop-point sales, as does St John’s. St John’s is looking for new drop points in Seattle and I imagine Dungeness would be as well. Please help keep these farms in business! If you’d like to comment, call PCC between 9-5 at: 206-547-1222. Ask for Trudy Bialic, Diana Crane, or Goldie Caughlan. I strongly encourage readers to do this. Be polite, and be clear. PCC is a large chain of co-ops and thus, a leader in issues like this. As a supporter of local foods, PCC must realize their actions affect the sustainability of small farms, the accessibility of local foods, and the opinions of consumers. By dropping raw milk, PCC is likely to hurt the operations of these farms, to reduce the store availability of raw milk in Seattle to two neighborhood stores, and to convince more people that raw milk is harmful. PCC has decided raw milk, more than any other product, has been the subject of recalls, and so they just felt it was too high a risk to sell it. That’s understandable, but it’s also important to note that a high number of recalls doesn’t necessarily mean it’s an unsafe product, it means it’s subject to more scrutiny and, frankly, politics. Especially lately, when the state seems to be increasing pressure on raw milk producers. PCC positions itself as a health food store. Raw whole milk, which is often produced by small farms raising cows on grass, is a source of animal-based fat-soluble vitamins in which we’re increasingly deficient as they disappear from modern diets. Unpasteurized, the milk also contains enzymes that help with digestion and absorption. PCC sells sugar and sugar-filled items, sells vegetable oil, sells processed food; these foods also kill people, and far, far more than raw milk — but a slow death from diabetes or cardiovascular disease is less dramatic and media-attention-grabbing than someone suddenly dying from E. coli. Customers should be able to make decisions for themselves based on accurate information. If raw milk were truly sickening everyone who consumed it (like, say, high fructose corn syrup), I could understand leaving it off the shelves. But, in reality, it’s a nutritious, unique product from small farms, that some people choose not to consume because they believe it to be higher risk. Leave it there, leave the warning up, and sell it for the customers who want it. We’ve been pretty lucky in Washington State, compared to other states which limit or ban raw milk sales, and we’d like to keep it this way. Having raw milk available in stores makes raw milk production more financially realistic for small producers, and I’m worried this latest push is meant to drive producers out of business. And, while it’s true that occasionally there is a case of illness linked with raw milk, there are also many cases of illness linked with industrially produced foods, or widely-distributed foods, and we don’t see any long-term regulation on, say, bagged spinach and raw tomatoes. Nor do we see banning of foods that are, in the longer term, more insidiously harmful, like high fructose corn syrup or sugar. There are a lot of voices against raw milk out there, many of whom have gotten their opinions straight from alarmist news articles. If you read enough articles saying raw milk is dangerous, or see enough signs in PCC saying raw milk sales have been canceled in the “interest of our customer health and safety,” you’ll likely also believe raw milk is an unsafe food. Countering this is difficult, but that makes it all the more important to try. By the way, this would also be a great time to support Madison Market and Pike Place Creamery for selling raw milk. And, as always, to buy direct from farmers at the farmers’ market. Thanks to Just Chaos for the flickr CC photo. Yes, this is bad news, not from a market standpoint, because if there is demand supply will show up, but rather because I think this reflects serious political pressure against raw milk producers designed to make it very difficult for suppliers to meet demand. I was shocked the other day when I called PCC Viewridge and was told they no longer carry raw milk because of “contaminants.” I will be happy to give my business to Madison Market, The Creamery, and the farms direct, but this does not bode well. Yes, this is exactly the way people get misinformed. People remember hearing something bad about a food, can’t remember what it is, make something up, and spread misinformation. Will you call the corporate office number/people I listed and mention this story to them? It’s a pretty good example of PCC’s role in spreading baseless fear about raw milk. John — tell us more! You mean pressure for farmers from liability insurance or pressure for stores? My sense is there’s also some kind of pressure from the state as well, but I’m curious if insurance companies are playing a role there. Did you get a chance to see Gary Taubes at the UW today? I understand Michael Eades and Jimmy Moore are also in town, and of course Stephan Guyenet lives here as well. Given the corporatist nature of our government these days, I’m not sure there is much of a difference. But I was told that WF is/was getting sued and that is/was an impetus for their insurance carrier to take action. Somehow Gary Taubes fell off my radar, alas. But I’m having lunch today with Dr. Stephen Phinney, whose work on high-fat/low carb diets and on oolichan grease has interested me. Did you go to the Taubes talk? How was it? Michael has pretty much hit the nail on the head. With the lawsuits over the spinach fiasco in the past, the companies who insure larger grocers wanted to severly raise costs to companies who want to carry certain higher foods. I’m sure there was a cost benefit analysis made for continuing to carry raw milk vs. not as well as other items like spinach. The blowback for discontinuing to carry spinach is much higher than that for milk. I wish I knew just how much more it would cost for that particular commodity (I’m not that high up the chain), but it must have been substantial for WF and PCC to act this way. Unfortunately my schedule was screwed up for the day and I missed the talks. That would explain the state attempting to shut down buyers clubs. Michael, I’ll probably be writing about this in a few days when I’ve handed in one of my thesis projects, but I lucked out over the weekend and got invited to sit in on some of the Metabolism Society meeting in Seattle, and hear Taubes talk! Lots of really smart low-carb nutrition folks (researchers, writers, physicians etc) were there. I haven’t heard about an attempt to shut down buyers’ clubs — wow. Where did you find that out? Or were you part of a buyers’ club that was shut down or threatened? John, interestingly, I stopped by PCC (Green Lake/Aurora branch) over the weekend and noticed that the little raw milk sign, which used to say something about the change being in the interest of customer health and safety, now says something about PCC making a decision in terms of liability. …but I lucked out over the weekend and got invited to sit in on some of the Metabolism Society meeting in Seattle, and hear Taubes talk! Lots of really smart low-carb nutrition folks (researchers, writers, physicians etc) were there. Good for you! Jimmy Moore was posting updates on Twitter as things were happening. Stephan Guyenet just posted about his talk with Taubes and his dinner with Taubes and Eades. A lady who was a part of the shutdown club was telling me about it. Perhaps it has to do with the very visible campaign in Wisconsin. I didn’t get to meet Taubes (he didn’t hang around Saturday night and left before i could catch him on Sunday) but I did get to go out to dinner with Steve Phinney, Jay Wortman, and a whole lot of the other folks at the conference on Saturday. A really nice community. It definitely precedes the mess in Wisconsin, although that is a visible sign. It also comes and goes in waves. I lived in California back when the Stueve Brothers (founders of Alta Dena Dairy) were the premier raw milk advocates among farmers (long before McAfee who really hasn’t been on the scene that long) and Alta Dena was America’s Dairy (even though they sold raw milk products). It was the same old thing back then (I believe the Stueves went out of business about 10 years ago). I’d like to know more about the food-buying clubs. Is there one near Greenwood? Contact info for the buying clubs is listed at the Dungeness Valley Creamery website linked in the article. I just stumbled across this blog looking for places to purchase raw milk… For those of you interested, I know that Bill the Butcher shops sell raw milk, but I, myself, have not purchased it and am not sure which farm it was from–I just overheard someone at the store discussing it as I was picking up some meat. Hope this helps!